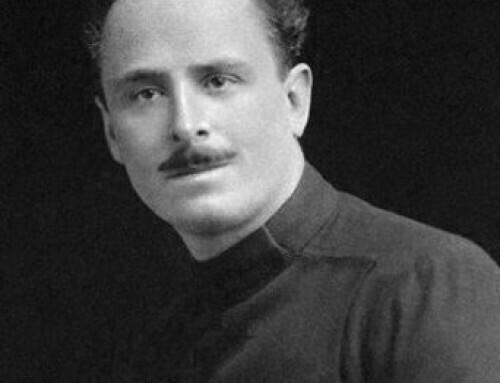 MR. BUCKLEY: Just after the First World War, a young British aristocrat, age 22, was elected to the House of Commons, and it has recently been remarked that Sir Oswald Mosley was the brightest man of his generation to enter politics, and that he alone might have become prime minister of England, whether as a Conservative or as a Labourite. Instead, he became the founder and leader of the British Union of Fascists in 1934. In 1941, he was scooped up by his old friend Churchill and stuck in jail without trial. After the war, he emerged into obloquy, for all intents and purposes disappearing from sight, when suddenly two years ago he published his autobiography, My Life, which has just been published in America. The book has been widely greeted as a work of great literary and historical merit. Because if I do not now mention it someone will say I was trying to conceal it, I herewith divulge that Sir Oswald’s book has been brought out in America by a publishing company owned by a company which I serve as chairman of the board, (laughter) I had no hand in the transaction, and I saw the book for the first time yesterday. I think it would be instructive to explore the current and historical meaning of fascism, something we have yet to do on this program, and I want to begin with the understanding that we shall not devote anything like the entire program to it. 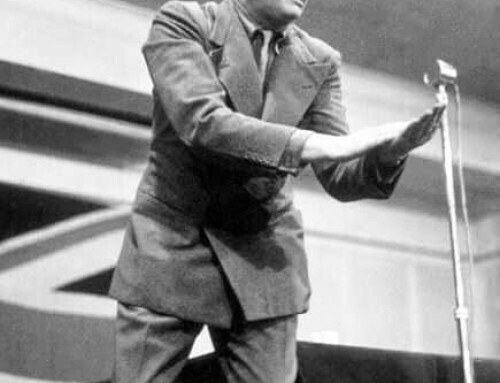 By touching on racism and fascism, specifically on anti-Semitism and British fascism, I’d like to ask Sir Oswald: do you believe there is a nexus between the two ? anti-Semitism and fascism? MR. BUCKLEY: You’re not going to dispute that? SIR OSWALD: – too painfully clear. But in the other countries where fascism occurred, in very different national forms, there was no question of it in the origin of the movement. Fascism was, essentially, a national creed — both its strength and its weakness – and, therefore, it took, in every country, a completely different form. And if you are running, as we hope to run, a multi-racial empire, you obviously cannot have a racialist policy. And the quarrel with certain Jewish interests, not with all, by any means, arose on quite different and much later questions. SIR OSWALD: Oh, yes, indeed. MR. BUCKLEY: – and would you, therefore, not say that it is generally accepted that a Fascist, to the extent, perhaps, that he is a nationalist, tends to be ethnocentric and tends to be impatient of minority races, and that, therefore, the persecution of the Jews by Hitler, although that might have been his way of persecuting a minority that stood in his way, that it is characteristic of Fascist nationalism to look for victims and that it tends, therefore, to seize on racial minorities; such that, for instance, a fascism in America might be one that would be, say, anti-black in character; or do you feel that it is purely adventitious? SIR OSWALD: This, to some extent, is a purely English attitude; in fact, all our fascism was an English attitude. You see, we could not run a great empire made up of every sort of race and have a racialist policy. That was out of the question. MR. BUCKLEY: But you did. MR. BUCKLEY: Not as a Jew, unless you’re prepared to make racial generalities. SIR OSWALD: No, not as a Jew, unless you say, as I did then say, an organized Jewish interest. It was plainly organized, for reasons I understood — in order to produce a quarrel with Germany and save their own people — to try to produce a war. I may have been right or may have been wrong, but that is not anti-Semitism. Anti Semitism is to declare, as Hitler did, “All Jews,’ as old Gadsden would have said, “have got a double dose of original sin and, therefore, we’re against all Jews.” That, in my view, is complete nonsense. Never generalize about any great people. It is an absurd thing to do. Particularly, these very dynamic peoples, like the Jews, produce the very best and the very worst. Germans do, too; Japanese do; and it’s absurd to generalize about the great peoples. SIR OSWALD: You’re absolutely right; I agree with that entirely. And I’m often attacked for having accepted, at that time, the support of anti-Semites. Now, I make one simple reply: if Churchill could accept the support of communism, Stalin and others, in order to win a war, I could accept the support of anti-Semites to prevent a war — that is, in a desperate situation. After all, 50 million lives were at stake in this business — 50 million people, we now know, were killed, and with a situation like that looming up, you are entitled to accept support from anywhere. But, if they deviated from our policy, which was no attack on racial or religious grounds, no anti-Semitism, out they went. They had two warnings and the third time, out they went. You will be able to quote things. You can quote them, right — the things that these people said. But if, after warning, they went on, I threw them out — exactly like at my public meetings. If Communists were trying to break them up, there were always two warnings —very careful, very patient — after that, out they went. I’ve been much attacked for that before. But I don’t think that if a man comes in and says, ” Well, I’m with you on this particular issue, whether there’s a war with Germany or not,” you should refuse his support because he differs with you on other subjects. MR. BUCKLEY: Well, now, is it your point that a national minority, whether religious or racial, does not have the right to attempt to mobilize national energy to come to the rescue of a persecuted people in other parts of the world? SIR OSWALD: I think he’s absolutely, perfectly right in stating his opinion. Anybody should be allowed to state his opinion, but the answer must be allowed to be put. And my answer was that I was against a war with Germany, and I think most of the English were at that time. I quite understood why they were agitating in favour of a war, but the interest of the majority was against it and, therefore, I pointed out that certain Jewish interests were trying to produce a war, which was against the interests of Great Britain. MR. BUCKLEY: Well, why would you say that it was their Jewishness that was a factor? Why wouldn’t it simply be their humanitarianism? Why shouldn’t a Jew say, “We have reason to believe that this madman in Germany is not only going to threaten the peace in Europe, but is also going to engage in large-scale genocidal ventures which have already been adumbrated, and it is the responsibility of a free and humanitarian people to do what they can to stop him”? Does this become Jewish sectarianism? SIR OSWALD: No, you’re perfectly right. I’m very glad you’ve raised that point, because there are many Labour leaders who have exactly the same line as the Jewish organizers. For instance, Mr. Attlee, I think, appeared with some of the principal Jews in Hyde Park to demand a boycott of German goods. Now, I denounced the Labour party at that time far more strenuously than I denounced the Jews. I remember, for instance, saying at that time, “All wars are good” — it was very unfair, I admit, but it was a rough debating day — “All wars are good to the Labour party on certain clear conditions: the first, the interest of the war is in the interests of the Soviet, not of Great Britain; the second is that our troops have no arms with which to fight; and the third, that Labour leaders are not included among the troops.” I never said anything so offensive about Jews as that which I said about the Labour leaders. It was a very hard and rough debate and we were hitting each other hard on the question of whether there should be another world war or not. MR. BUCKLEY: Well, what criticisms did you, during that period, make of Hitler’s persecution of the Jews? SIR OSWALD: Apart from the persecution of the Jews, you mean? MR. BUCKLEY: I say – no – what criticisms of Hitler and his genocidal policies did you make? SIR OSWALD: Oh, I condemned that, of course, utterly and completely. Naturally, who wouldn’t? Naturally, I did. MR. BUCKLEY: Well, lots of people didn’t. MR. BUCKLEY: But there were other questions, surely. Sir Oswald. There were a lot of people who were in favour of stopping Hitler who hadn’t given a second thought to the Jewish factor involved. MR. BUCKLEY: Churchill, presumably, did not call for rearmament and, finally, for war simply because he wanted to go to the aid of the Jews. MR. BUCKLEY: He also felt that great national and international questions were at stake. Is that correct? SIR OSWALD: Yes. Churchill started the agitation for rearmament in 1934, according to Liddell-Hart, precisely two years after I’d begun it. That’s one of the things which has to be remembered: I started the agitation for rearmament against any danger which could possibly threaten Britain. That is on record in my own force, the air force, which I was in the first war, and mechanized army and navy and everything else. I agitated for rearmament for seven years — no, five years — seven years, yes, seven years before the war, and Churchill began two years later. But, now, why did Churchill, why did the Labour party, why did many of the aristocracy — why did they also take the same line in what I regarded as a drive for war? And I attacked the lot of them at that time, many of them more strenuously than I attacked the Jews, because I felt they were more at fault. They had less reason and they ought to have known better. Now, the Labour leaders – it was perfectly plain. Hitler had got rid of their old friend and companion, social democracy, in Germany. Therefore, this party, which had always stood for the revision of the Versailles Treaty, suddenly swung around into a war party but, at the same time, denied us the arms with which to fight if a war came. The aristocracy — well, we know them all too well. Any big man gets up, showing off as they think it is — the Kaiser before it, the sabre rattling and all the rest of it — and they simply detest it. Knock him over. Just like Eden said, “You must knock Nasser off his perch.” Later on, the Kaiser had to be overthrown, and the rest of it. Well, I said, “The man may be very disagreeable; his methods are very foolish and very challenging; but, as long as he’s driving east against communism, to smash communism in Russia, and not threatening the West — either France or England or the Western civilization, America, too, in general — then I don’t want to interfere. But, if he turn; west, then, if I had my way, we should be armed to the teeth, ready to meet him, seeking alliance with France and seeking alliance with America.” and we would have been ready and prepared to meet him and to defeat him. But what, to my mind, was insane was to give the guarantee to Poland which we couldn’t possibly implement. We had no means of doing it, and yet we encouraged the Poles to take that line. And then, when Hitler was driving east in an inevitable collision with Soviet Russia, we jumped on his back — the whole Western world jumped on his back — to save Communist Russia, with the results which we now can see. MR. BUCKLEY: Now, wait a minute. You don’t say we jumped on his back in order to save Communist Russia; you say that this, surely, was a historical by-product of jumping on his back because we feared his turning west. Is that not correct? MR. BUCKLEY: After all, he was sitting all over France at that moment. SIR OSWALD: You have to consider in politics the effects of your actions, and the effect of that action was, obviously, to save Communist Russia. At that time, the collision became inevitable. If we hadn’t intervened, Communist Russia would, evidently, have been defeated. MR. BUCKLEY: But, it was not necessarily a motivation. If you’re talking about the integrity of Europe, at the moment that he attacked Russia, he had already sat in Paris and controlled it for one year. SIR OSWALD: Well, because we declared war on him, of course. And that’s often — Crossman put that point to me in a debate here last summer. He said, “Why, they were already — he was attacking us in the west.” But it was we who declared war. Hitler didn’t declare war. Naturally, if you declare war on a man, he attacks you. He was going to Poland. We then declared war. No soldier is going to leave his rear unprotected if he can possibly avoid it. He then turned around and attacked us. The point is this: if we hadn’t declared war and had let him drive east to the collision with Communist Russia, he would have defeated the Communists. And the real question, that is, the vital question, is what would have happened then? Would he have turned around and attacked us? My answer to that is that it’s better to fight tomorrow with arms than to fight today without arms. We took the enormous risk of entering unarmed into that war. It’s better to arm and be prepared. If he had fought the Russians, we should have had ample time to mobilize French opinion and American opinion. I knew Roosevelt, at that time, very well and his whole attitude. It would have been perfectly easy to get a setup in the West to meet Hitler and defeat Hitler, because we had greater productive power and everything else, if he had ever turned against us. What was insane was to go into a war unarmed, risk our complete defeat, and save Communist Russia, who, afterwards, became the whole world’s menace. MR. BUCKLEY: When you founded your second party, why did you call it a Fascist party? What was the attraction of that term for you? SIR OSWALD: I very much wanted to avoid it, but if you are taking a certain line — I mean if you’re obviously a liberal — liberalism in England was completely different than liberalism in France. I mean liberalism under Lord Gray, the Reform Bill and all of the rest of it, was something different than the liberalism in France under Danton and Robespierre. But it does seem dishonest if you say, “I am not a Fascist,” when there’s a certain genetic similarity realizing how we all began. A genetic similarity — what I mean by that is ex-servicemen coming back from the war on each side were promised the world: the end of slums, the end of unemployment, and the rest of it, a land fit for heroes to live in and all that old guff of Lloyd-George’s — and then complete betrayal, the survivors of my generation completely betrayed. And you had the same thing happening in each country — this explosion of the ex-servicemen, which it was primarily, in order to do something as a memorial to the fallen and to build a land which they thought worthy of their sacrifice. That was the origin of the whole thing. MR. BUCKLEY: – you were attracted to the term because you understood it to mean, in the early Thirties, a group of highly mobilized people who were reacting against the dissipations, that came after the war, of national and human resources. MR. BUCKLEY: Do you now consider this to have been a mistake? SIR OSWALD: Well, of course, the question is very often put to me. If I’d stayed in the Labour party and gone on and, as people are Kind enough to have said, I might have led the Labour party and become prime minister, anyhow, at the end of the war, if not before, or something of that sort — that’s a question which is often put to me. Well, see what it means. If the devil offered you that deal, are you going to acquiesce, feeling as I did, about the death, the unnecessary death as I believe it to be, of 50 million men, in order, after the war, to remould the world nearer to the heart’s desire? Should you do that deal or not? But, in fact, I decided to go flat out to stop the war, and with a revolutionary movement — because it’s all nonsense to believe that fascism was ever a conservative movement or a movement of the right — with a revolutionary movement to try to do the things which the ex-servicemen had been promised and which, for 12 years within Parliament, I had tried to do, both as an M.P. and as a minister. I had been utterly and completely frustrated, with every pledge to us broken. Then came this tremendous explosion, an effort at any cost to get things done, and following that, the effort to stop the war. That is the origin of the whole thing, which is easy to understand. MR. BUCKLEY: Well, now, what were the similarities between the fascism that you advocated during the Thirties, the fascism that had been instituted 10 years earlier by Mussolini, and the fascism that was being instituted by Adolf Hitler? MR. BUCKLEY: Now, what does “ultra-national” mean? Did you have any designs on other countries? SIR OSWALD: Oh, none whatever, because we had everything we wanted. MR. BUCKLEY: Well, then, what does “ultra-national” mean? SIR OSWALD: – of the British Empire. MR. BUCKLEY: Oh – the development of the British Empire? MR. BUCKLEY: So, it was a part of fascism, under no circumstances, to give up any of the Empire? SIR OSWALD: Oh, no, to development the Empire. MR. BUCKLEY: Was it a part of fascism to increase the size of the Empire? SIR OSWALD: Not to increase, because we had a quarter of the globe, very nearly, already. MR. BUCKLEY: Well, why wouldn’t you be better off with a third of the globe? SIR OSWALD: Well, now, I think anyone who’s sane at all never takes on more than he can manage, and we had grossly mismanaged what we had already undertaken. We hadn’t even completed the geological survey of the Empire when the Second World War began. MR. BUCKLEY: But the ultra-nationalism of Mussolini caused him to go into Ethiopia and, subsequently, into Albania. The ultra-nationalism of Hitler caused him to move east and west. What would ultra-nationalism for England have signified in terms of complementary movements? SIR OSWALD: Well, that is precisely the difference. We had everything we wanted, every conceivable thing, and to have tried to get more would have been simply idiotic. The Italians, on the other hand, were living in a confined space, hence their explosion into North Africa. The Germans had a much bigger consideration of being divided from their own people. Supposing, for instance, in this country, England, Lancashire and Yorkshire had been divided by a corridor or occupied by a foreign power who threatened a war on us if we ever tried to get rid of it. We might have felt a little rough at that time. Our situations were completely different and, for that reason, our policies were completely different. That really is the whole point. Ours was an imperial policy — mind Britain’s business, Britons fight for Britain only, all those old slogans were devoted to that end. MR. BUCKLEY: What else did ultra-nationalism mean? SIR OSWALD: Ultra-nationalism meant concentrating on our own affairs — and here, this is a big point against me — and letting, in a way, the rest of the world go hang. MR. BUCKLEY: And in what sense was that different from non-ultra-nationalist movements in England? MR. BUCKLEY: Now, what does dynamic consist of? SIR OSWALD: Yes, distinctively left. That, of course, is another basic thing to understand, that fascism was neither of the right nor the left. It cuts clean across, or did cut clean across, through the whole spectrum of politics. SIR OSWALD: I was always against the ultra-bureaucratic concept and I am — today, I’ll develop that far further. I mean, what I call now the “wage-price mechanism,” have called ever since 1955, is, in my view, a far, far more advanced and more flexible instrument than the corporate state which people were talking about in the Thirties. I was happy to see the wage-price mechanism discussed in your journal, Time, last October 18, a phrase I first used in 1955. America’s moving toward that kind of policy. MR. BUCKLEY: What did you mean by the “wage-price mechanism”? SIR OSWALD: Well, now, what I mean by that is the power of the state to intervene — not the controls of socialism or the controls of communism — but the power of the state to intervene to decide the main reward differential and, when necessary, in the case of monopoly, to control prices, not more. I deal with it in that book. My Life. I dealt with it before in Europe: Faith and Plan, published in 1958, in extenso, and that is one of my main economic policies today. SIR OSWALD: Yes, dirigism, yes. MR. BUCKLEY: Now, this met, primarily, opposition from conservatives rather than from Socialists. MR. BUCKLEY: So, we have ultra-nationalism. We have the wage-price mechanism. To what extent did you feel in the Thirties that your movement, which you called fascism, could accommodate personal liberty? SIR OSWALD: Well, I have said, and I think it is basic — we have got to learn lessons from the past. Anybody who doesn’t learn lessons from the past is a fool; he’s lived without learning anything. And, therefore, the basic error of fascism was the disregard for liberty. I don’t plead as guilty on that as other people should and must plead guilty, because I always stood against imprisonment without trial, even before I suffered it myself. But, I think the basic error of fascism was that in its drive for action at all cost, it overrode liberty; and the great problem of this present-day age is to synthesize the drive for action, which is completely necessary, with the preservation of individual liberty. And if we can achieve that, we’ve made some contribution to the thought of our age, and that has been my whole effort since the war. MR. BUCKLEY: So that you concede that, during the Thirties, your movement was not one that made much room for individual liberty? MR. BUCKLEY: Are you talking about your views now or your views then? SIR OSWALD: This is my view now based upon the lessons of the past which were too bureaucratic; because, whereas I think we were right to strive for action to remedy unemployment, to remedy the slums and all the horrors of that day and the suffering of people, our methods were wrong in that we exaggerated the power of the state and we had too little regard for individual liberty at that time. That is the lesson I draw from that period. MR BUCKLEY: And what about the paraphernalia of fascism? To what extent is the posture of the military, the uniforms, the salute, the marching – do you think that’s sort of a necessary temperamental expression of fascist movements? SIR OSWALD: No, not at all. You see, it arose — and that’s the only similarity, purely superficial, but it’s my great drawback today, because they can associate me with German or Italian fascism simply for that reason. My first answer is: wearing a uniform no more turned us into German or Italian Fascists than wearing a uniform turns an English soldier into a French soldier or a German soldier. The origin of the thing was very simple. Our meetings were attacked; I mean, that’s on record, there’s no disputing it. Olympia was attacked like a military operation – organized for three weeks, openly and publicly, without any intervention by the state whatever. And, at that time, I was organized, being a professional soldier in origin myself, in a military fashion to meet it and defeat it, and we did defeat it. As I said in a letter to the Daily Telegraph, only this week, the only time order has ever been maintained in England and free speech was preserved was when we had completely broken the Red terror in the Thirties by those military measures which meant wearing uniforms and the rest of it. We did maintain order at our meetings, and we had meetings which were perfectly peaceful. They could not stop our free speech like they stopped Churchill and everybody else with whom they disagreed. That was the origin of the uniform and the military. But I’ll admit this: I went too far. It was my main mistake. If I’d stopped at the simple black shirt — 90 percent of our members were working class, and their wives made them in their own homes. They were very poor people. If I’d stopped there, that would have been all right. As soldiers — and they were soldiers in the end, because they had to fight — they liked smart uniforms and I, as an old soldier, made the mistake of pandering to that taste and allowing them to wear very elaborate uniforms, which has been thrown at me ever since. A great mistake. MR. BUCKLEY: Well, now, Sir Oswald, you’ve given us, with some taxonomical precision, what it is that fascism consisted of during the Thirties; now let’s jump 25-30 years, and let me ask you a couple of questions about states that are currently considered to be Fascist. The list that you gave — for instance, take Spain. Would you consider that Spain is a Fascist state in the sense in which you understood yourself to be a Fascist in the Thirties? SIR OSWALD: Falange, yes, which was founded by Primo and carried on, very largely, by his sister and other people. But Franco, no, nobody could possibly call him, I think, a Fascist. MR. BUCKLEY: Well, there’s not much -well, there is not individual liberty in Spain of a political character at all, but you would not say that the fact that there is nonesuch classifies his society as a Fascist society because there are too many other ingredients missing? SIR OSWALD: No, you see, I agree and I’ve admitted that the other Fascist states — I don’t think it would have been so true, if I had won here —did ignore liberty and they did great damage. Mussolini had his Lipari Islands and people interned. They did then, in time of peace, what was done to me — I was put in prison, rather — in time of war. You probably know the story of when he let Malaparte out and asked him to come to see him. 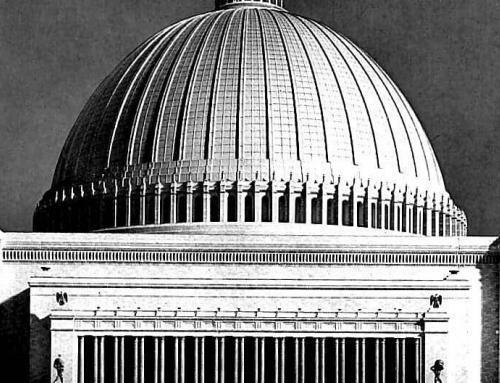 Malaparte, according to the tale, went in and Mussolini said, “Well, now, you’ve got liberty, what are you going to do with it?” Now, Malaparte, who was a very witty and brilliant fellow, said, “I’m promptly going to abuse it.” Mussolini, I understand, didn’t rearrest him. Well, you should put up with that. I never want to put anyone in jail, not merely because I’ve been there myself — without charge, without trial — but because I’m absolutely confident of being able to answer them. If I had power in this country, if it was handed to me by any freak of fate, then certainly they could have equal time on TV, press conference, press or anything else. MR. BUCKLEY: In your current disposition? SIR OSWALD: Yeah, I’m absolutely confident of being able to answer them. Now, I wouldn’t have minded that in the Thirties, because I’d met these men in Parliament and I knew how jolly easy it was to answer them. MR. BUCKLEY: Now, what about the Greek Colonels? Would you say that that’s a Fascist society? SIR OSWALD: No, again, I shouldn’t. You see, that’s in the Franco category; that is a military, rather than a Fascist, movement. MR. BUCKLEY: Is there a Fascist state – is there an incumbent Fascist state? 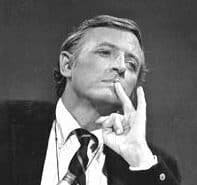 MR. BUCKLEY: I don’t understand why fascism died if fascism is defined as a society which is ultra-nationalistic, which seeks to avoid wars, which seeks to harness a state in human resources, and is prepared to suppress individual liberty in order to do so. Why wouldn’t it be proper to call the Chinese state a Fascist state? SIR OSWALD: Well, of course, I can define, I think, the differences between even fascism and communism. Though, of course, as H. G. Wells in his book. The Brothers, and other people pointed out, there was a certain relationship in the view of many people, and I say that relationship stopped at this point — they were both dynamic creeds. They both wanted to do something; but the results were very different. Communism established this universal bureaucracy and was far more brutal, anyhow, in time of peace. There were obviously far more people killed in the Communist countries in time of peace than there were in the Fascist countries. But there was, perhaps, too much resemblance. And we have, again, learned from the lessons of the past, as everybody should. After the war, I declared for Europe — and in Europe, there’s no question of having a totalitarian party or a totalitarian figure. 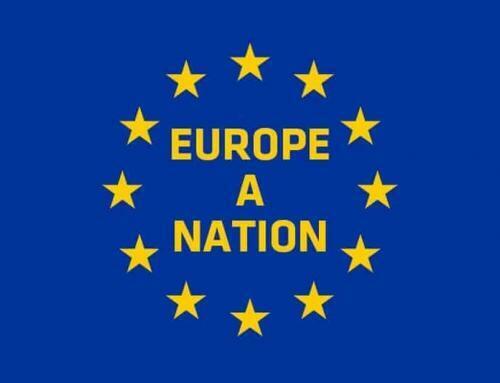 The other European countries would never tolerate for a moment one man from one country being put over the lot of them. You have to have, as I’ve always said, an equipe, equals, a Round Table, King Arthur, or the old archon-type round table concept, and then the man with the best ideas wins. And I find no difficulty with international conferences, European conferences, a Frenchman on one side and a German on the other. You usually have an advantage if you can talk the two languages because they never can talk to each other as a rule and you get through more of your policies probably than you deserve to do, but it’s a matter of persuasion. Something so huge as Europe and so diverse can never be unified in a Fascist or totalitarian fashion. The most we can hope is to get a three-tier government in Europe: central government dealing with defence, foreign policy, the main economic questions — same rate for the same job, possibly, throughout Europe; then you have the national parliaments and national governments exactly as they are today and elected, I would add, in the same way as’ they are today; and then devolution to the regions — which is now a very strong movement in Europe — so that we’d have our Welsh and our Scotch and there would be the Briton and other local parliaments. That, obviously, has no relation to the highly centralized, rather bureaucratic, control of a Fascist state in one individual nation before the war. So, at that point, we launch out into the future and leave the past behind us. MR. RIDDELL: There is one aspect of fascism, Sir Oswald, that does interest me, now, and it’s the role of the leader. It seems to be characteristic of all the Fascist parties you talked of that there’s been a very dominant leader. You are opposed to bureaucracy — the leader can sum up the feelings — and you talk about yourself as almost a personification of the ex-serviceman coming back from the war, that you could sum up their feelings. You could express it by exercising your authority. SIR OSWALD: Yes, yes. Well, of course, it is a tremendous force in favour of action. It does arouse enthusiasm. It is not peculiar to fascism. It is a way to get things done. I think we have gotten beyond it now, altogether, but we can take Mao in China. He obviously has aroused enormous enthusiasm by the leader cult and all the rest of it. I think it can lead to disaster. That’s one of the reasons we don’t want it anymore. Hitler went mad. Stalin went mad. And that’s why I affirm always now that you must be subject to the control of Parliament. MR. RIDDELL: What about De Gaulle? SIR OSWALD: Well, he was under a very wide measure of control. I don’t think anyone suggests those elections were faked and all the rest of it. In fact, finally, the electorate virtually sacked him. But, the leader figure was combined with a wider measure of liberty. I don’t agree, by any means, with everything he did or stood for, but it was a very different thing from fascism before the war. And I think now we’ve got to combine the absolute control of Parliament, so that Parliament at any time, or Congress with you, can get rid of some man who goes mad; but, at the same time, while he’s there and while he’s trusted, give him — well not him, but the government as a whole – in the European case, a very widely based government — the power to act; otherwise, in this menacing situation, we’ll never get anywhere. MR. RIDDELL: Therefore, do you see -this is sort of an interesting point. De Gaulle was in the wilderness between the late Forties and ’58 in France. Do you see yourself in the wilderness in Paris waiting for the crisis in Britain, for parties to speak out and you to be called back to do the De Gaulle role? MR. RIDDELL: I’m a journalist. SIR OSWALD: — a very simple and very clear answer: no. If the fairy came in with two hands, offering me two quite different things: one, to be prime minister of Britain today, which obviously I wanted to be for a long time, and many people are kind enough to say I might have been, and with the other hand gave me the power to appear in Britain, France, Germany, and America on television, as I am appearing now, arguing with intelligent people, and to write syndicated articles throughout the world, like, say, old Lippman did — I’m talking of a dream or an ambition — I’d choose the latter every time. Because I want to do two things while I’m still in this world: to maintain peace, if I can make any little contribution to it, stop a war, and I want to see the complete unity of Europe. I’d rather persuade men over a great field than run one country. On the other hand, they say, “Well, if England got into serious trouble, would you do nothing about it — turn your back on your country?” The answer always is, of course, “Well, if mother falls in the ditch, everybody has got to come back from all over the world. Any Englishman would do what he could to pull her out.” But that’s not what I want to do. MISS MIDDLEWEEK: Aren’t you always looking for “mother” and looking for the person you can define as whose interests coincide with yours — just as fascism was ultra-nationalism and then you had the Empire as well, which was “as much as we needed”? If we had needed some more Empire, you know, if we hadn’t got enough rubber or something, maybe some more black men would have needed to be subjugated to our rule in order to get it. I can see that you draw an intellectual distinction now between Europeanism and fascism, but to me, you’re saying Western Europe, as a bloc , now has interest in the way that it didn’t in the Thirties and it didn’t when Hitler was in France. Our interests were not with Western Europe then and Frenchmen then, because somehow you seem to think that he would have gone east to Europe and stopped at Dunkirk because we were minding our own business, which is something that amazes me. 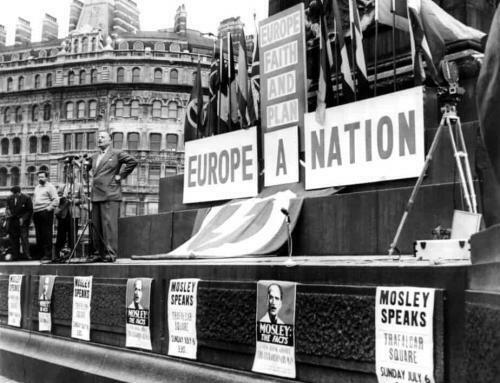 SIR OSWALD: No, we’ve always defined Europe as part of our interest; that is, it is classical English policy never to have a hostile power which can threaten us overrunning Western Europe. That’s why, always, not only did I want Britain rearmed, but I’d always have fought with France for the defence of France. MISS MIDDLEWEEK: But you’re too intelligent to tell me that you couldn’t see that Hitler in the Thirties was a threat, not just to Jews in Germany, not just to minority groups in Germany, but a threat to Europe. MR. RIDDELL: But, Sir Oswald, there’s a distinction between those two quotes. SIR OSWALD: Now that was idiotic, idiotic. MR. RIDDELL: I mean, the first Churchill quote you gave about Yalta. It was necessary, then, because we were fighting the Nazis, for Churchill — he was very reluctant at the time — to cooperate with Stalin. He was aware, as I think is quite clear, far more than the Americans were, of the threat from Stalin. SIR OSWALD: Do you really think that flowery speeches like that, or trusting him or not trusting him, had any effect on a man who had gone the long and dusty road from Siberia to the Kremlin or that he could be won over by Mr. Churchill drinking his toast? The whole concept was ridiculous, and no wonder clever and able and shrewd American conservatives like Mr. Buckley are alarmed when Mr. Nixon goes to China and has feasts and all the rest of it. But I maintain this: the soft sell to communism occurred with Roosevelt and Churchill, and naturally you suspect, you’re afraid, the same thing will happen again. And well you may, because when they talk about trading with China and with Russia, what they mean is long-term credits which have almost broken some of the great German friends already. You equip the Communist countries and, at the end of it, they tell you to go to blazes, and having been equipped, they turn around and face you exactly like Stalin did in ’45. And, of course, you are right, therefore, to suspect it. But there’s another line which I suggest — the hard line, neither frozen nor soft, a line in which you say, “We’ll see these people; we’ll measure our opponents; and we’ll get as far as we can in private negotiations; but if we can’t get anywhere, we’ll stand them up in public and show the world where they’re wrong and where we’re right.” And you’ve got to produce people in all these great states who can do it. And if I might just conclude that – if you can do that, communism will retreat, just as they did after Hungary and after Czechoslovakia. Because the Communist parties in every country in the world begin to wither when they’re shown up in their brutal tactics in public. MISS MIDDLEWEEK: They were shown up in Czechoslovakia for all their brutal tactics, and they haven’t withered and died. SIR OSWALD: Well, they withered a great deal, and if we had kept it up with intensive propaganda, instead of running off to lick their boots again — by all means, negotiate, see where you can get with them, but when you can get nowhere, then show up their policies and demonstrate your own in public debate. SIR OSWALD: There is none. MISS MIDDLEWEEK: – regarding your enemies because Communist — you know, it’s a moral question — but regarding who you should be friends with, it’s realpolitik, it’s nationalism, it’s the people whose interest you’re in, and this to me is ridiculous. And I just can’t see how you can justify it in any way. I think, intellectually, in exactly the same way, you produce arguments for saying you weren’t anti-Semitic, that you were a pacifist in the 1930’s, that aren’t worthy of an intellect like yours. SIR OSWALD: Well, may I put a question to you? Should Churchill then, have refused to be allied with communism in order to defeat Russia? Because on your argument, they had no right to use communism to defeat Germany; they had no right to ally themselves with communism; and, of course, you must, in real policy, accept help where you can get it, in a desperate situation. But do not deceive yourself that at the end of it a Communist is going to work with you for democracy and peace, which these men appeared genuinely to believe. MR RIDDELL: No, Churchill didn’t. SIR OSWALD: Do you think they were just telling lies? MR. EVANS: — is that as a conservative, there seems to me to be none of the Burkean sense of how the social structure operates in your analysis. And what I mean by that is you don’t realize that, for instance, the social conflicts in Germany in the 1930″s were so vicious, so extreme, and so polarized, that given the nationalist setup in Germany, this was a revolutionary situation like the French Revolution or the Russian Revolution, in its own particular Germanic fashion. It was going to overspill; it was going to be expansionary. Now, I’m suggesting that your understanding of the social structure, then, didn’t allow for it. MR. EVANS: But what was more frightful to your own position was that you assumed that the same sort of social conflicts were happening in England in the 1930’s, when they weren’t. SIR OSWALD: Shall I tell you when it happened? SIR OSWALD: Would you like to hear a very simple answer to that? MR. EVANS: That’s quite true. SIR OSWALD: – and, therefore, your analysis is, in my submission, fundamentally wrong. MR. EVANS: May I submit this to you? Whereas in Germany a large number of unemployed ex-servicemen immediately could be swept up by a popular, folkish movement, which had — the social structure in Germany was so much more polarized than that in England. You had, at the end of the 19th century in Germany, a very highly educated liberal elite, a large number of peasants, and a tremendous amount of social conflict between both extremes of German society. Now, this could all be united after the crisis of the First World War and the crisis of unemployment, by a Nazi nationalist movement. Now, in England, the social structure was not divided in anything remotely like the same fashion. SIR OSWALD: That’s perfectly true, and for the reason I’ve just given, because there was no great economic crisis. MR. EVANS: No, it wasn’t. It was much more profound than that economic analysis. SIR OSWALD: What you are saying is – and it happens very frequently in the foreign view — the English are always asleep. As I used to say in my speeches in the Thirties, “Is it then so foreign to be active, and so English to be lazy?” It’s not true. The English are the most drastic and, I’m sorry to say, sometimes the most ruthless of peoples. And when they wake up, they act with tremendous decision. And you can write all English history in the differences between England awake and England asleep — totally different kind of men. Churchill was utterly excluded, hopeless in his position. As he said to me a few years before the war, across a dinner table, he said, “What’s the use in racing all your life, if you never win the Derby?” He’d given up all hope of ever being prime minister. The moment England wanted him for a particular purpose, they grabbed him and used him. Before that they wanted Baldwins, Chamberlains, all these hopeless people (laughter) and used them for other purposes. MR. EVANS: I agree with you. They were dreadful. SIR OSWALD: But when the crisis came, they changed their way. They had their Chathams; they had their Churchills and their Lloyd-Georges. MR. EVANS: Whether you were conservative or not in the 1930″s, who were your Fascists in social terms in England? MR. EVANS: What sort of social origins did they have? SIR OSWALD: Ninety percent manual workers. MR. EVANS: Quite – a violent, revolutionary, proletarian movement. Isn’t this, from a conservative point of view, just as odious as any Marxist or Communist revolution? SIR OSWALD: Right, of course, it was. That’s precisely why they passed two special measures of Parliament in order to hold me down. SIR OSWALD: Agreed, you’re absolutely correct. SIR OSWALD: They needed suppressing. I’m very glad you said that because it illustrates the whole point. At one point, when the proletariat which has a need to revolt — the first need to revolt is succeeding and the state is obviously breaking up, then very decent people, people who feel exactly like you and think that people like me are a horror (laughter), they come along to join in an effort of national salvation, if they’re convinced the people who are running it are fundamentally decent. And I know people in Germany who said to me, “We’re against the Nazis. If somebody like you” — this sounds rather boastful, so forgive me — “had been running the thing in Germany — we wanted a strong government — we might have joined you.” But they did not like the methods of the Nazis. At a certain moment, the conservative types come over to make the thing work, but it’s always begun by a proletarian revolution. MR. BUCKLEY: Well, now, this was not true as I understand it, in France, during its major revolution. It wasn’t true in Russia during its, and it wasn’t true in Cuba. SIR OSWALD: In what way? MR. BUCKLEY: There was no sundering economic crisis in 1789; nor was there in 1914; nor was there in 1958 in Cuba. MR. BUCKLEY: In Cuba, in particular, the Castroite movement was a middle class movement. SIR OSWALD: Well, so was the French, of course. MR. BUCKLEY: Hm mmm, that’s why I mentioned it. MISS MIDDLEWEEK: A political, not an economic one. SIR OSWALD: I agree with that, but the middle class, of course, in France — you know much more about Cuba than I do — but in France they were obviously being oppressed; I mean the Dantons, these masterly men, these brilliant men, were not getting a look in. The perfectly inept aristocracy was running the whole thing — just as our Cromwellian revolution against Charles I and the rest of it were middle class squires who weren’t having any look in in government. They had an impulse to revolt. Well, in modern societies, particularly, in England, there’s no impulse to revolt until things go wrong. Well, now, don’t, please, get me wrong. When I say revolt, I don’t think there’s ever going to be bloodshed in England or the sort of thing which has happened in other countries. I think they’ll quite smoothly and quite firmly go over to a different man and a different outlook, and that’s why I stress Parliament always. I am the child of Parliament. Parliament invented me, and so I’m naturally grateful to it. But beyond that, I think we’ve got to have parliamentary control, and what will happen if there’s ever a grave crisis in this country is that certain elements, drawn from everything in national life, as in time of war, will come together and present a new alternative government to the country, taking in people from the older parties. They will present themselves at a general election, they’ll sweep the country, like Baldwin and MacDonald did with disastrous results in ’31, but this time the result will be different. MR. BUCKLEY: Do you think, in Ireland, the crisis is primarily economic? SIR OSWALD: There, no, it’s profoundly religious. It’s like the religious wars of the Middle Ages, becoming, I think, economic. The lady you had here today. Miss Devlin, is very forceful in those views of trying to turn it over into an economic situation. There’s a good deal to be said for that view. There’s an economic undercurrent in Ireland. But, the Irish problem is primarily religious. MR. BUCKLEY: Do you think the Irish crisis is the kind of crisis that galvanizes England to act with the kind of singular unity you mentioned earlier? SIR OSWALD: No, not a bit of it. I think if they will get a consensus for any government in power, it will probably be more or less supported by the majority of the people, but it won’t wake the people up. They just want to get rid of it as quickly and easily as they can. Personally, I’d handle it in a different way, but that’s another subject. SIR OSWALD: There’s not a hope of any effective action in Britain today, in the sense of a big shift. MR. RIDDELL: Should there be? SIR OSWALD: Yes, well, then you, no doubt, know. I needn’t mention the articles in question. But the elite is profoundly disturbed for reasons we all know. The mass of the people feel nothing and see nothing, and I don’t blame them. They’re occupied in their daily work. They’re occupied in their daily pleasures. They cannot see what’s coming, and not until the terrible event of an economic collapse happens, do the people wake up. But at that moment, they are very decisive people. They always have been, throughout their history and, I think, without bloodshed, and without great disturbance, will produce an entirely new setup, if it’s necessary. But as I say, I pray that I may rather persuade men to do something reasonable on a world stage rather than take a part in something like that. MR. BUCKLEY: He’s answered that, because unemployment was split in half, he said. SIR OSWALD: Unemployment, you see, never got over what, about two million or so in this country. MR. RIDDELL: Sure, but didn’t that render you totally redundant in the Thirties? SIR OSWALD: I can, again, answer you very quickly. The reason disturbance occurred at our meetings — that is, I held then the biggest meetings ever held in Britain, as I’d done previously as a Labour minister and Labour member, you may remember, and they were attacked – that’s all on record as indisputable – in a military organization by the Communist party. And we, then, organized to defeat them, which, in fact, we did. MISS MIDDLEWEEK: But, wasn’t this in your interests? MR. EVANS: That wasn’t my point. That wasn’t my point. SIR OSWALD: I’ve missed the point, have I? MR. RIDDELL: My point was the very point you’ve been making about the fact that we can have peaceful change in this country. Doesn’t it render all you were saying about the Thirties redundant? MISS MIDDLEWEEK: Yes, and isn’t that why you needed anti-Semitic support in the Thirties, because your own intellectual nicety distinction is a tremendously elitist one that’s going to appeal to a very few. If you’re going to ever have popular support, in the same way as Powell can say he is not a racist today and argue it beautifully — like you argued you weren’t an anti-Semite then, you were only anti-Hitler, you were only anti-war with Hitler — you are dependent on people who don’t see the intellectual niceties of it. You admit this. You know you’re dependent on those people, and you exploit popular prejudice and bigotry. MR. BUCKLEY: Like Roosevelt talking about the barons of great wealth and that kind of thing? SIR OSWALD: You’ve got, obviously, to arouse popular support by saying what you think. I don’t, myself, agree with Mr. Powell, at all. He was very, very late in pointing out that an influx of an entirely new population into this country would — even if, as I said at the time, they were a community of archangels — create trouble in Great Britain. If you have slums and you put a new and outside population on top of them, it’s bound to make trouble. And Mr. Powell, during all that period, was a very calm and peaceful minister of health. He only came out when the thing was a boiling, popular issue. MISS MIDDLEWEEK: You have two alternatives : get rid of the slums or get rid of the angels, you know. SIR OSWALD: It always reminds me of the old story of a mob running down the street, making a great uproar, with a respectable little chap, you know, English type, with bowler hat, umbrella and briefcase, trotting behind them at a discrete distance. The policeman says to him, “What are you doing here?” and he replies, “Oh, I’m their leader.” That’s Mr. Powell; that’s how he came into the business, you see — a bit late in the day. But, no, the English will only move when it is necessary. And if you are ahead of that necessity and you’ve got to tell people what is going to happen, you get, first of all, working class support, and only later on do you get the support of the prosperous and the respectable. But all through the Thirties, I had people in very strong and big positions — in fact, many of them financed me — helping me and assisting me— who could see what was coming. I mean, they may have been backing several parties at the same time as these people do. But, 90 percent of our people, it was perfectly true, were working class people. MISS MIDDLEWEEK: And you got them on an intellectual sham? SIR OSWALD: Got them? I would say, “You’ve got unemployment; you’ve got slums; it’s unnecessary. Modern science can solve every problem. Why not let us have a go with modern science?” and so on. Simplifying, simplify and synthesize — that is the art of politics. MR. BUCKLEY: Thank you very much. Sir Oswald. Thank you very much. Miss Middleweek, Mr. Riddell, Mr. Evans.